Back at the end of February, the Centers for Medicare & Medicaid Services released its most recent quality rating for hospitals and once again, Jasper’s Memorial Hospital and Health Care Center received a five-star overall performance rating, the highest rating possible. 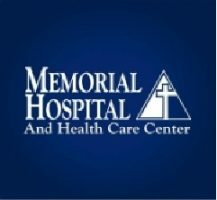 Memorial Hospital was one of only 293 hospitals nationwide to receive this distinction, and one of only 13 hospitals in Indiana. Kyle Bennett, President/CEO of Memorial Hospital says while they are extremely proud to receive the Five-Star distinction by the Centers for Medicare & Medicaid Services, their focus continues to be on their Mission and those they serve. The assessment comes from a hospital rating system based on a variety of measures across seven areas of quality—ranging from one to five stars—and shows how well each hospital performs, on average, compared to other hospitals in the U.S. The more stars, the better a hospital performs with the most common overall rating being three stars. The report, available on the Hospital Compare website, reflects the comprehensive quality of care in our nation’s hospitals. Be the first to comment on "Memorial Receives Five Star Quality Rating"